The “Swiss-made” tagline has long served as a stamp of approval in the beauty world. The country’s lush natural abundance combined with its scientific advancement has given birth to several household names in skincare in recent years. Yet, Valmont predates the wave of Swiss-made brands we know. Originally a hospice where the illness-stricken rich took refuge to bathe in the natural bliss and healing spring to recuperate, Valmont prides itself on deftly reconciling cutting-edge Swiss R&D and the taste for tradition that comes from natural heritage of exceptional purity, sourced from the compound of the company’s head office on the banks of Lake Geneva to the summits of the Alpine glaciers. 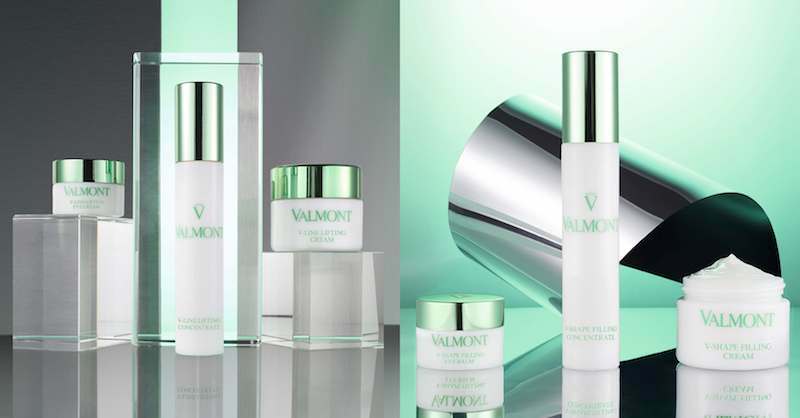 The pure and protected environment of Switzerland is the cradle of Valmont products, most notably the astonishingly effective high-performance anti-aging treatments known as cellular cosmetics that has been Valmont’s most treasured offering since 1985. The concept of cellulotherapy revolves around working into the very nucleus of the skin’s cells to find molecules with peerless anti-aging properties: DNA and RNA, using an exclusive and patented procedure to extract two molecules with exceptional qualities: DNA and RNA. The latest anti-aging lines The V-Line Lifting and the V-Shape Filling are the testament of their proven success in unlocking the secrets behind youthful skin. The key innovation behind the two anti-aging lines is “AWF5” — a dual-line solution to fight the most visible signs of ageing with absolute precision. The three letters stand for Magicien du Temps’s new Anti-wrinkle and Firmness concept : a product range offering effectiveness to the 5th power thanks to an exclusive complex of 5 active ingredients targeting 5 key factors in the dermis. AWF5 brings together five cutting-edge ingredients that target five key factors in the extracellular matrix of the dermis. By targeting all components in the skin’s architecture, the AWF5 Complex strengthens the cutaneous structures that give the face its smooth and full appearance. Even the word “anti-aging” itself means differently to each woman, who has different ageing concerns. Valmont’s two anti-aging lines address different skin problems, and are formulated with ingredients and technology to tackle them. The V-Line Lifting line targets wrinkles, smoothing and rejuvenating the face while the V-Shape Filling line restores lost density for firmer and more toned skin. Both comprise a serum, cream and eye treatment. The two can be used separately or combined as necessary: an effective response to the skin’s every need. In essence, this potent anti-wrinkle AWF5 is comprised of Peptide cocktail (wrinkle eliminator), Vitamin C (protecting skin structure), Densi-derm (a matrix regeneration), Fibro-boost (ensuring elasticity and firmness) and GAG-booster (a powerful plumping formula). Valmont shares its passion in combining pure and natural ingredients with advanced scientific research and innovation with many Swiss-made skincare brands we see in the market. What makes it different, however, is the fact that as an independently-owned company, Valmont treasures its ability to use precious ingredients in higher concentration than many brands owned by huge beauty conglomerates. In addition, using ingredients grown naturally from its trusted source in high concentration means Valmont products are not mass-produced. They come in small numbers, and the result is noteworthy. The V-Line Lifting and V-Shape Filling lines include: V-Line Lifting Concentrate (THB9,500 for 30mL), V-Line Lifting Cream (THB10,500 for 50mL), V-Line Lifting Eye Cream (THB6,950 for 15mL), V-Shape Filling Concentrate (THB10,800 for 30mL), V-Shape Filling Cream (THB11,600 for 50mL) and V-Shape Filling Eye Balm (THB7,500 for 15mL). Paris Spa Chidlom, 25 Chidlom Road, tel 0 2254 8354 and 0 2655 2550.